It’s no surprise that the Land of Smiles is one of the top five favourite holiday destinations for Aussies. Think lively and welcoming people, captivating culture, absorbing history, colourful festivals, picturesque tropical beaches, lush mountain jungles, idyllic islands, dynamic cities, quiet rural villages and world-renowned cuisine. Just quietly, it is also exceptionally popular with retirees looking for a more affordable and enriching lifestyle. That expat life also means ease of travel to any of the wonderful destinations within Thailand or beyond. Here’s a selection of locations within Thailand that my wife Vivien and I have greatly enjoyed visiting and recommend to you. 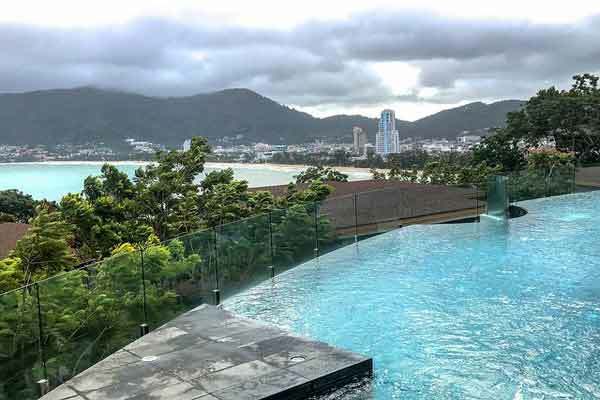 With its resort and beach lifestyle, great shopping, lively entertainment and a plethora of recreational activities, Phuket has it all. Step away from the popular tourist spots and experience the real Thailand. 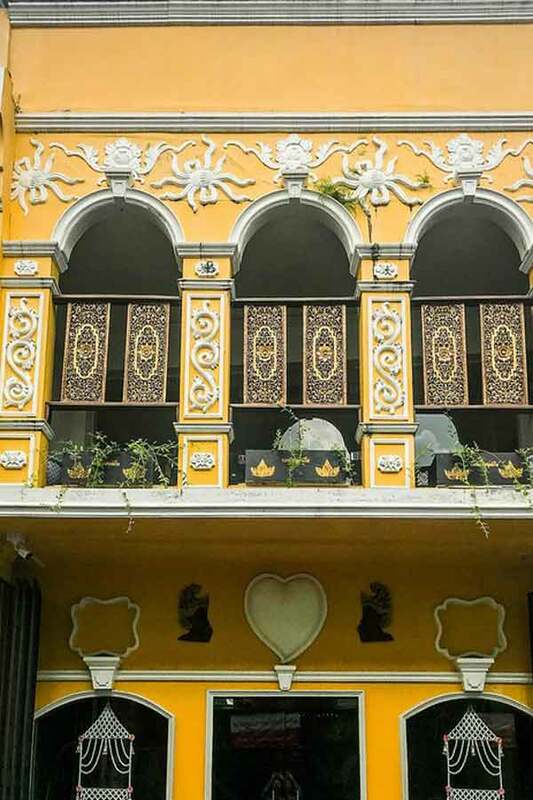 A stroll through the provincial capital, Old Phuket Town, reveals beautiful Sino-Portuguese houses reminiscent of the tin mining industry some 200 years ago. The walking street market on Sunday evenings is a must. Cook up and eat a Thai feast at one of the renowned cooking schools. About 70% of Phuket is forest and farmland, so hire some wheels and cruise the beautiful coastline and rural roads, away from the tourist hotspots. Need rejuvenation? Indulge in a four-hour luxury spa package from as little as $120. Phuket can be frenetic sometimes. So, for peaceful island getaways close to Phuket, check out Koh Lone, Koh Hae (Coral Island) or Koh Maphrao on the eastern and southern side of Phuket. Phang Nga Bay—just off Phuket’s northeast coast is famous for magnificent islands jutting vertically from the aqua waters. This includes Koh Kan, aka ‘James Bond Island’, which featured in the movie The Man with the Golden Gun. On the western side are more tropical islands dotted in the Andaman Ocean. Koh Surin is part of the Mu Ko Surin National Park. Ideally, spend at least a night here for a fuller experience. If you are into diving, then the Similan Islands National Park is a must. It’s said to offer the best diving in Thailand. Located just 84 kilometres northwest of Phuket, the islands are only open to visitors from mid-October to mid-May. This string of nine granite islands in the Andaman Sea offer crystal-clear blue waters, dense and thriving jungles and picture-perfect, soft, white, sandy beaches. If you’re lucky, an encounter with whale sharks may be part of your Similan Island dive. Yet another favourite destination! 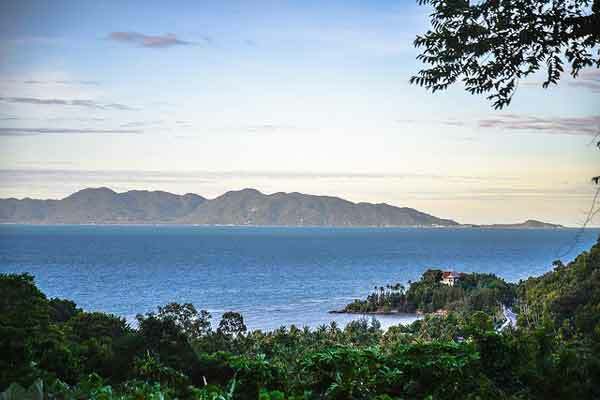 The island of Koh Samui is small enough to drive around in a few hours yet offers a perfect blend of picturesque bays and beaches, jungle-covered mountains and typical Thai villages to explore. 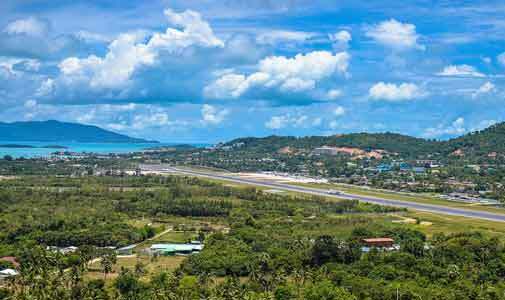 Most people fly to Samui via Bangkok. However, expats living in Thailand may opt to take the passenger or vehicular ferry from Don Sak near Surat Thani. Although the island was probably first inhabited over 1,500 years ago by fishermen, it was without roads until the early 1970s. Growth has been rapid since. Fortunately, laws have kept property development in check. Low-rise resorts and buildings hug hillsides and coastal areas without dominating, sitting alongside fishing villages and rural farmlands. Driving the backroads and the island’s ring road are a photographer’s dream. Most of the accommodation, entertainment venues and restaurants are in the northeast corner of the island. Water sports are extremely popular—perhaps try stand up paddle boarding with Aussies Tammy and Ian or deep-sea fishing on one of the professional charters. Away from the coast beaches is archery, golf, tennis and trekking, or maybe take up yoga at one of the retreats. Take a day trip out to Ang Thong National Park —an archipelago of 42 islands with towering limestone mountains, white sandy beaches, thick forests and delightful waterfalls teaming with wildlife. Koh Pha Ngan and Koh Tao form part of the island-hopping scene too. Pattaya is one of the most popular tourist destinations in Thailand. The city centre and walking streets particularly come alive in the evening, with strobing lights, throbbing music and scantily dressed ladies beckoning onlookers into the bars and entertainment venues. And a multitude of restaurants, food stalls and markets offer whatever cuisine you want. 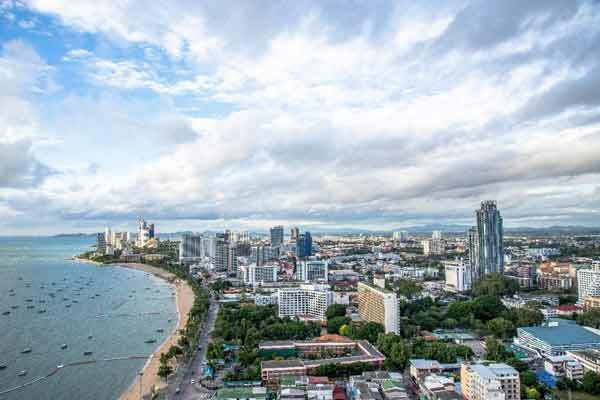 Pattaya City beachfront is undergoing beautification and restoration and is as busy as ever. Immediately south of Pattaya City is Jomtien, a much quieter beachside location and worth your time. 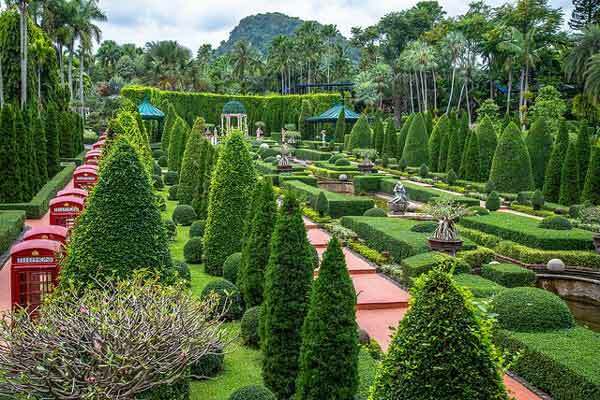 Inland from Jomtien is the 200-hectare (500-acre) Nong Nooch Tropical Botanical Garden. Or travel just a few kilometres further to Silverlake Vineyard, where Australian winemaker David Knight is helping to produce award-winning wines. Perhaps golf is your thing—choose one of the 20 courses within an hour’s drive. If you are looking for more adventurous activities, mimic the gibbons’ howl as you launch through lush rainforest in the Flight of the Gibbon park. Royal Varuna Yacht Club and Ocean Marina Yacht Club offers opportunities for sailing enthusiasts and novices, if sailing is your thing. One of the best kept secrets is the less populated islands in the Gulf. Koh Si Chang is a haven of tranquillity not far from the hustle and bustle of Pattaya, with the simple ferry trip to the island costing about $2. 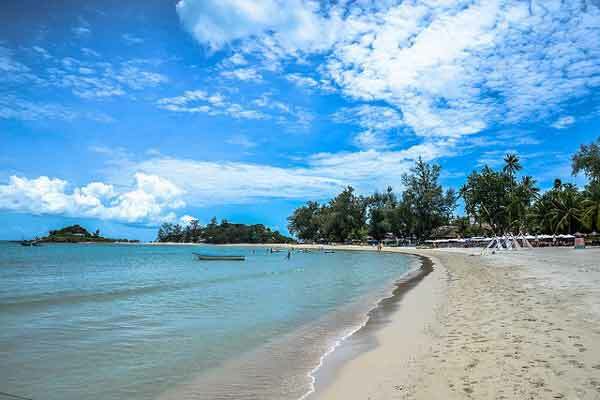 Though further south and east of the Pattaya region, Koh Kood is an island in Trat Province in the Gulf of Thailand and the easternmost island before Cambodia. It’s said to be one of the most beautiful in Thailand, and without a doubt the least developed large island in the country. Think Koh Samui or Phuket in the 1970s! Visit soon before things change. The Rose of the North presents a fascinating melting pot of Thai, Myanmar and Laos cultures and cuisines. Misty mountains, colourful hilltribes, artisan traditions, cultural festivals and intriguing history merge with today’s contemporary living. With over 600 restaurants, fresh and souvenir markets, live music and entertainment venues, and interesting shopping, Chiang Mai has it all. If you enjoy the creative arts scene, head out to Bo Sang, famous for hand-painted umbrellas, and watch beautiful floral designs being created before your eyes. The intimate and quaint umbrella festival is usually held on the third weekend in January. At Chiang Mai Celadon in Doi Saket, be mesmerised by artisan pots and meticulously hand-painted, glazed ceramics—an art form going back centuries. Or time your visit for the peaceful Loi Krathong and Yee Peng (lantern) festivals, held on the evening of the full moon of the 12th month in the traditional Thai lunar calendar (usually November). 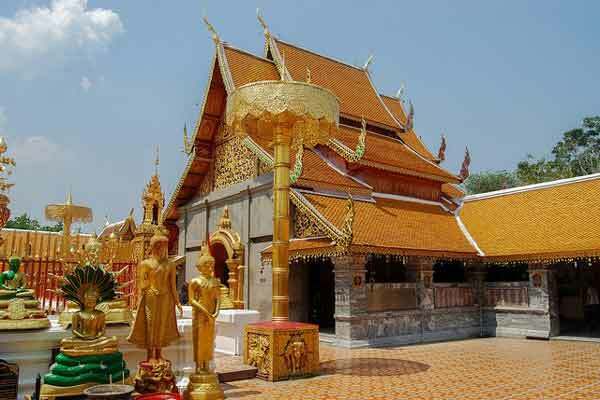 Drive the sweeping road up to Doi Suthep-Pui National Park and explore the cooler mountains. Pop into Bhubing Palace and rose gardens or take a stroll along a trail to one of the four waterfalls. 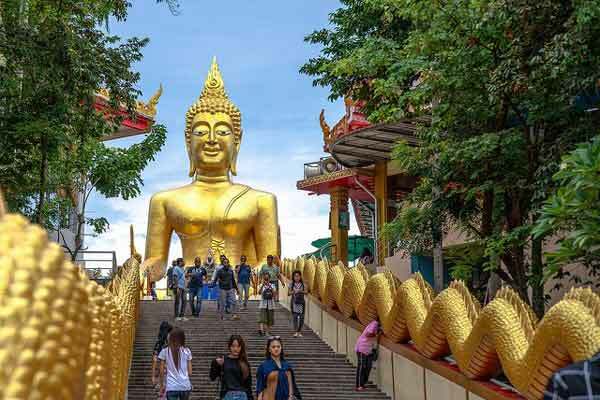 Take the 309 steps to visit Wat Phra That Doi Suthep—and marvel at stunning chedis, pagodas, statues, bells and shrines—and take in the commanding views over Chiang Mai. 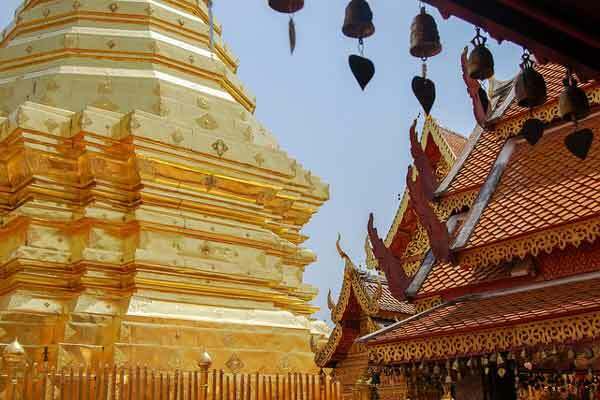 Allow a day or more to spend in Chiang Mai’s Old City, with wonderful temples, museums and markets, including Warorot Market in Chiang Mai’s Chinatown. Go upstairs within the market building to gaze down on the passing parade below. Some good fabric stores are nearby too. Ready for something more adventurous or upbeat? 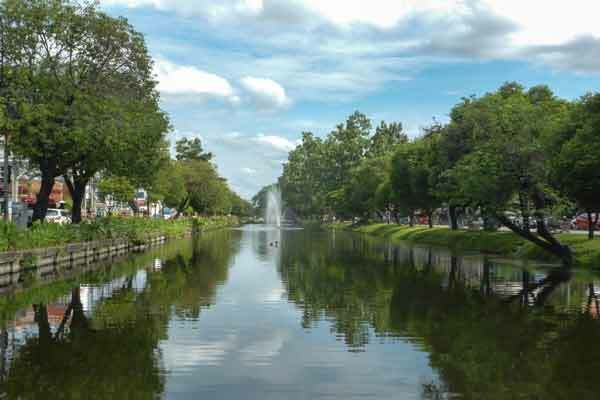 Ride the rapids on the Mae Taeng River, cycle through quiet village lanes, verdant pastures and fruit orchards, rove the Night Bazaar or pop into Boy Blues Bar, a popular open-air bar beating out music nightly. There is simply so much to do in Chiang Mai—you just have to go! Most people coming to Thailand enter through Bangkok, and take at least a few days to explore, eat, drink and shop. About an hour’s drive north of Bangkok is the UNESCO-listed, ancient walled city of Ayutthaya. You can visit in a day trip, though we would recommend staying overnight for greater appreciation. Ayutthaya flourished from 1351 to 1767 as the capital of the Siam Kingdom and was home to around one million people. It was one of the East’s wealthiest trading ports. Foreign traders—including Chinese, Portuguese, Vietnamese, Japanese, Spanish, Dutch, English and French—were allowed to establish villages outside the city walls. The capital was overthrown by the Burmese and a new capital established in Thonburi—across the river from Bangkok. There are many ways to get to and explore Ayutthaya, but here is our suggestion. 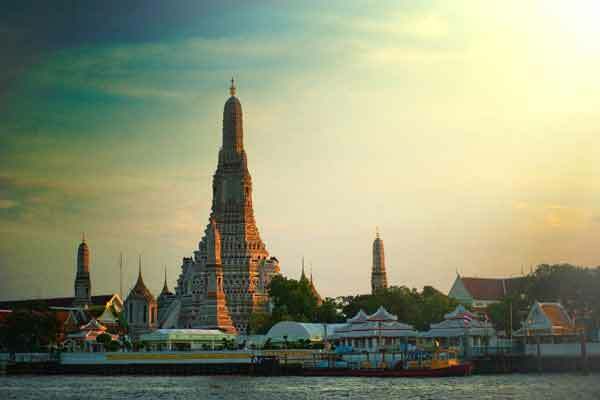 Take one of the river cruises from central Bangkok, gliding along the Chao Phraya River, taking in the sites of the Temple of Dawn, Royal Grand Palace, and Royal Barges. Build your energy reserves with a delicious lunch on board before taking a cycling tour. Beginning at the Ayutthaya Tourist Centre is ideal, as this extensive and informative centre sets the scene for what you will soon discover. Then, it’s on your bike to explore this enormous archaeological site. Finish the day watching the sunset at Wat Chaiwatthanaram. Stay overnight and tuck into some pad Thai noodles, a specialty dish of this region, or other delights at a local restaurant. There are many sites within the walled city to continue your exploration in the morning, or you may like to discover outlying historical precincts like Saint Joseph Church and the Portuguese settlement. Or take a long-tail boat to the Bang Pa-In Royal Palace (Summer Palace), with magnificent, sprawling, Versailles-esque gardens and grand buildings featuring European-style architecture. 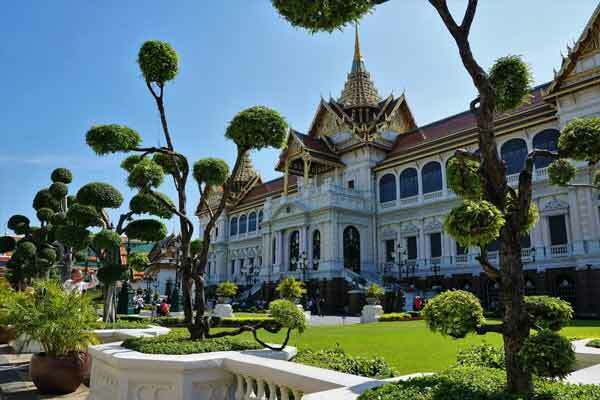 Once finished your explorations, getting back to Bangkok is easy—catch one of the regular State Railway trains from Ayutthaya, admire the scenery from the window and alight at Bangkok’s main train station—the stunning, 100-year-old, Italian-designed Hua Lamphong.